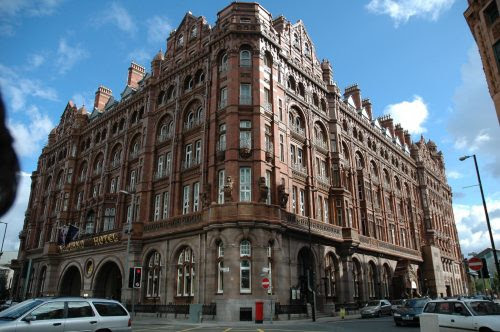 Manchester’s most famous hotel has been sold in a deal worth £115m. The Midland is Manchester’s most famous hotel and is home to Adam Reid at the French, which is considered by many to be the city’s best fine dining restaurant. The new owners have said they will operate the Midland under its Leonardo Hotels brand but the hotel will keep its name. Real estate investment company Aprirose bought the hotel in September last year and has now sold it on. The hotel originally opened for business in September 1903 was built by the Midland Railway to serve Manchester Central railway station at a cost of £1m. The Midland was designed by Charles Trubshaw in a highly individualistic Edwardian Baroque style and is a Grade II listed building. According to legend The Midland was coveted by Adolf Hitler, who had a keen interest in architecture, as a possible Nazi headquarters in Britain. American intelligence claimed that the area of Manchester around the hotel and town hall was spared from bombing so as not to damage or destroy the Midland. The four star hotel has 312-bedroom hotel has two restaurants, 14 conference and meeting rooms, and a spa and gym. There were high hopes that Adam Reid at the French would land a coveted Michelin Star this year but they came to nothing. The Midland was the last venue in the city centre to hold a Michelin Star back in 1977. David Fattal, chief executive of Fattal Hotels Group, said: “This fantastic acquisition of Manchester’s Midland hotel represents a huge step forward in our ambitious growth strategy in the UK. Anders Nissen, CEO of Pandox, said: “The acquisition of The Midland Manchester is industrially sound and meets all of Pandox’s acquisition criteria. “The hotel, which has iconic status in Manchester, is an upper premium, full-service hotel with a very attractive central location and demand from all client segments. “The hotel offers clear potential for increased revenues by upgrading the room product and by increasing the number of rooms.